Allura red AC, which is sometimes called red dye 40, is a very popular name of an ingredient on many food and product labels such as of artificial food coloring, cosmetics, baked goods, and candy. It is a coloring agent that comes from coal tars or petroleum distillates. The United States Food and Drug Administration (FDA) requires that the presence of allura red AC – which is made from animal, mineral, or plant resources – be made known on food and product labels. Washington, D.C.-based environmental organization Environmental Working Group (EWG) puts the overall hazard level for allura red AC as low. However, other organizations say that allura red AC is highly toxic, and carries great dangers because of just how much people are unaware of their exposure to it. Allura red AC is also known by other names as allura red, C. I. Food red 17, C. I. 16035, FD & C red no. 40, FD and C red no. 40, and red no. 40. Among the products that contain allura red AC are drinks (Powerade Orange, Full Throttle Red Berry, Crush Orange, Sunny D Orange Strawberry); cosmetics (body washes, eye shadows, suntanning products); foods (some cherry pie fillings, some barbecue sauces, pickles); candy (candy corn, jelly beans, M&M’s, Reese’s Pieces, Skittles, Strawberry Twizzlers); and cereals (Cap’n Crunch Oops! All Berries, Fruity Cheerios, Fruity Pebbles, Trix). Some products that are allura red AC-free include Kellogg’s Corn Flakes, Yoplait yogurts, Mott’s Medleys Fruit Flavored Snacks, Berry Berry Kix, Cheerios, Grape-Nuts, Kashi GoLean, Ocean Spray Fruit Flavored Snacks, Post Shredded Wheat, some Kraft Macaroni & Cheese products, and Special K Red Berries Cereal. Allura red AC has allergy-causing reactions in some people, according to the Center for Science in the Public Interest. It supposedly can cause children to become hyperactive. In fact, a 2007 British study showed that children who ingested a mixture of common synthetic dyes exhibited hyperactive behavior within an hour of consumption. 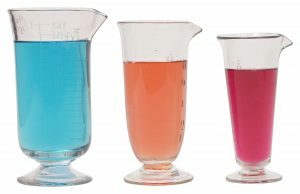 The results of the study, which were published in TheLancet.com, got Britain’s Food Standards Agency to require manufacturers to find other alternatives to food dyes. 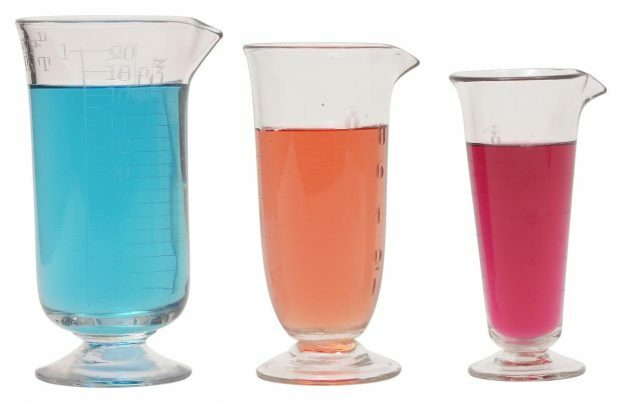 The European Parliament ruled that foods and beverages that have food dyes should be labeled as such was implemented in the entire European Union in July 2010. “We see reactions in sensitive individuals that include core ADHD (attention deficit hyperactivity disorder) symptoms, like difficulty sitting in a chair and interrupting conversations. [Also], foods with dyes are often riddled with other nutritional problems, like excess calories and fat,” said David Schab, M.D., M.P.H., assistant clinical professor of psychiatry at Columbia University, and co-author of a 2004 meta-analysis that concluded that food dyes promote hyperactive behavior in already hyperactive children. Allura red AC has cancer-causing elements. It contains p-Cresidine, which, according to the Department of Health and Human Services, is “reasonably anticipated” to be a human carcinogen. In a study that involved rats, allura red AC has been shown to inhibit the growth of cells, tissues, and organs, especially in the newly-born and the very young. It reduced offspring weight, decreased brain weight, and lowered survival rates. It also contributed to physical and behavioral toxicity in developing rats. Allura red AC is bad for the overall body, but what it mostly impacts is the immune system. Allura red AC has cancer-causing elements. Allura red AC is bad for the body, but in general, what it mostly negatively impacts is the immune system. Allura red AC supposedly can cause children to become hyperactive.